Medicine & dentistry – 99%. Subjects allied to medicine – 93%. Architecture, building & planning – 92%. Engineering & technology – 85%. Looking to get the best return on your tuition fees? Continue reading to find out the average salary of graduates who have gone onto professional employment. No surprises here. 99% of all medicine and dentistry graduates land a job or further study within 6 months of leaving. Imagine a class of 200 people studying medicine or dentistry and all but one have managed to land a job. Impressive. More impressive is that the average graduate salary for medicine and dentistry graduates was £30,000 last year! Don’t be under any illusions though, these graduates are in such high demand because the degrees require dedication and hard work. Med students might well have it harder than anyone, so if you want to go down that road, be prepared to work all day, every day. Yep, it’s a different discipline from medicine and dentistry. Holding its own on the employment stakes with 98% of all graduates finding work or future study 6 months after graduation. One of the things that makes veterinary science degrees so gruelling is the length. A BVSc is five to six years long. This means the average graduate will only qualify as a vet by the time they’re 25 or so. That’s assuming they start when they’re 18/19! In this area we include degrees in subjects such as neuroscience, drug discovery and the biomedical sciences. Together, 95% of students found a job or went into further education within 6 months of graduating. Which isn’t too shabby at all. Degrees in this sector involve, hard work, lots of hours and a good return (£22k starting salary). You will have the opportunity to study medicine and take a specialisation early on in your career. This is of course a good thing. Young professionalism is all very well, but you’ll be able to command higher salaries in the future if you’re an expert in your field first and a young professional second. Architecture allows students to study a varied curriculum which includes arts, maths, technology and sciences. In turn a degree in architecture will set you up for a varied career. Graduates can specialise in fields such as residential architecture, commercial building and urban planning. Graduate prospects are still great for architecture graduates, with 90% of students being in full-time employment or further education 6 months after graduation. It is worth noting however that a lot of architecture graduates choose the route to self employment, and those that don’t can land themselves jobs in larger companies on a salary of around £22,000. The world needs teachers. An impressive 90% of all graduates get a job or move on to further study within 6 months of graduating. As teaching jobs tend to recruit at stable level, this is not expected to change. Many teachers study a separate degree, then go onto study a teaching course. Very few teachers originally study teaching. Weirdly. This can make a degree in education a highly sought-after thing. This will be beneficial for climbing up the ranks and getting a better job within education later down the line. Additionally, teachers do get a lot of holidays. However, this does mean they don’t work great hours – a couple of hours on either side of the nine-to-five and then the possibility of another few hours later in the day. But still, think of the holidays! Perhaps you’ve not considered teaching as a career yet? Nobody wants to do the job they just spent the last 13 years making it as difficult as possible to do. Reconsider this approach. There’s more opportunity here than you’d think, and an average starting salary of £22,000! Have a degree in another subject and thinking of becoming a teacher? Then you should look at studying a PGCE. Engineers are highly sought after guys and gals. This is obvious with the employment (or further education) rate of 85% within 6 months of graduation. Engineering is an immensely broad subject. It covers areas such as electrical, mechanical, software, environmental, chemical, acoustic or biological or civil engineering; along with many, many others. Jobs in engineering tend to fall into two distinct categories – public or private sector. Both are similar as far as the contents of the job is concerned. Generally the private sector is harder to get into and pays more. 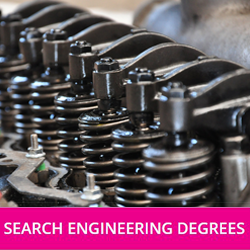 Still, the average starting salary for engineering graduates was £25,000 last year. So work hard and try to break into that side of the job market! Specialisations abound, and degrees in subjects in chemical or biological engineering will seem like more of a chemistry or biology degree than anything else. However, engineers are subtly different from standard science students in that they learn how to do things, without having to look it up first. The field of computing is broad and diverse. Covering traditional topics such as programming and database design to cutting edge technologies like virtual reality and AI. As such there are many computing degrees to choose from. Regardless of which computing route you go down you can expect to be in huge demand which is evident by the fact that 80% of graduates find employment within 6 months of graduation. The average graduate salary for computing professionals is a respectable £24,000. Maths graduates are extremely employable and often find themselves in the IT or finance sectors. This means that if you are a maths graduate then you can expect to earn a respectable salary. You can expect to earn around £25,000 following graduation. Maths teachers are also in demand so if you don’t find IT or finance appealing then you should consider teaching the country’s future mathematicians. Either way you should have no difficulty finding employment. 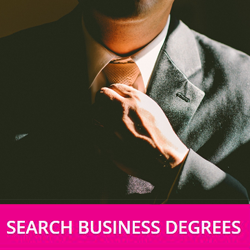 Skilled academics are needed throughout all industries to ensure businesses run smoothly. Therefore, it comes as no surprise that 88% of business graduates are in full-time employment or in further study within 6 months of graduation. Tons of jobs are on the horizon for business graduates with roles being available in finance, marketing, project management, human resources, logistics, sales, and economics. On average graduates were able to gain roles paying around £22,500 last year, making business related subjects a great choice for those looking for a good pay-off after education. Law degrees are worth more than their names – a degree in law is not just proof of knowledge of law. It’s a certificate of applied intelligence and memory. As such, students with law degrees are snapped up, but often not actually into the legal industry. Law graduates are able to find work other than as lawyers, and start their career on around £19,500 after graduating. 90% of graduates get a job or continue with their studies within 6 months of finishing their degree. 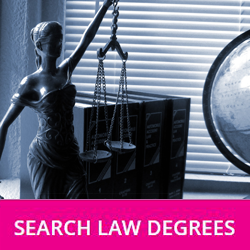 It’s important to note that a lot of this 90% – about half – continued with study after law, which implies that many law graduates choose to specialise further within law after graduating. And there you have it – the degrees with the highest employment levels. It’s worth noting the subjects that didn’t make this list too. “Purer” subjects like chemistry or physics haven’t made the list, along with social sciences which generally one might expect to pop up somewhere. It’s also important to notice that the tenth most popular has an employment rate of 88%. Which is good, but not as good as one might expect. That means that 12% don’t get a job within 6 months of graduating, and that’s for the tenth-best degree. It’s a sign of the times, and a good reminder to work very hard even if you do land yourself a place in a well-employed, high-scoring degree. And if anyone’s wondering, the very worst degree as far as employment goes is… drumroll please… Agriculture and its related subjects! So if you’re intent on a career in agriculture be sure to work hard at your degree and give yourself the best chance of succeeding in your career!